In the Ether Ritual Public Event, you’ll find yourself standing nearby a servitor that’s broken, stuck in the ground. You’ll also be surrounded by three other broken servitors. Scorn will spawn at one of the surrounding servitors, and you’ll be tasked with killing a mini-boss. Defeat the boss however you like, but pay attention to the servitor and make sure that they’re standing around.Once the boss is dead, a message will pop up on the bottom of your screen, and you’ll begin to see small blobs of ether start floating toward the center servitor. Shoot them with whatever you have access to and prevent the blobs from reaching the damage servitor in the middle. Repeat this process three times.If you manage to kill all three bosses without letting a single blob of ether reach the middle servitor, you’ll spawn a far more difficult boss. Defeat it, and you’ll complete the Heroic Public Event. With the Cryo-Pod Public Event, a giant, prisoner-filled rocket will land in the ground. You’ll need to clear out two waves of enemies before you can do anything, so go ahead and take care of that.Once the boss spawns and loses some health, small vents around the Cryo-Pod will start pushing out freezing gas. Shoot the vents until they break, which will produce a frozen orb. Pick up the orb and throw it at the boss, who should be stomping around nearby. Hit it several times to freeze the boss in place. You’ll then need to stand close to the boss until the orbs can be recovered, and fend off waves of enemies from the boss’ faction.Once the meter has filled up all the way, you’ll have recovered the enemy and completed the Heroic Public Event. This Heroic Public Event can be pretty tough when you first enter the Dreaming City, especially if you’re all alone. We recommend you only try to make this Heroic if you have at least one ally nearby.While defending the rift generator in the center of the area, Scorn and Taken will attack you from three sides: center, left, and right. Once their onslaught on one front ends, a giant Taken blight will spawn at the back, hovering over the water. Before it sinks, you need to destroy the blight by whatever means you have at your disposal. Repeat this on each front.Once all three blights have gone down, a large blight will spawn over the rift generator, surrounded by wizards. Kill all three wizards without letting the rift generator be destroyed by the surrounding enemies.If you’re successful, everyone in the area will be sucked into the Ascendant Realm. Here, you’ll need to defeat a powerful boss. Once it’s dead, you’ll have completed the hardest public event in the Dreaming City. First things first, trigger this event as usual. When the enemies start spawning in, you should see a bunch of Shriekers floating around the Warsat. Two Wizards will then appear, so make sure you’re focusing your fire on these first. Taking care of these two Wizards will see one of the Shriekers opening up, so destroy it. Once a Shrieker is down, another two Wizards will spawn, and clearing them will open up another Shrieker. You’ve got to do this until all of the Wizards and Shriekers are no more. After that, a giant boss Ogre should appear right by the Warsat. At this point, you should trigger the Heroic Warsat Public Event in Destiny 2: Warmind, so now all you’ve got to do is take care of the great big, hulking fella. The Ogre can take a ton of damage, so try and save your Supers for this part of the Heroic Warsat Public Event. Also, just as a heads up, you can move away from the Warsat itself once the Ogre has spawned, as you no longer need to worry about bumping that percentage up. 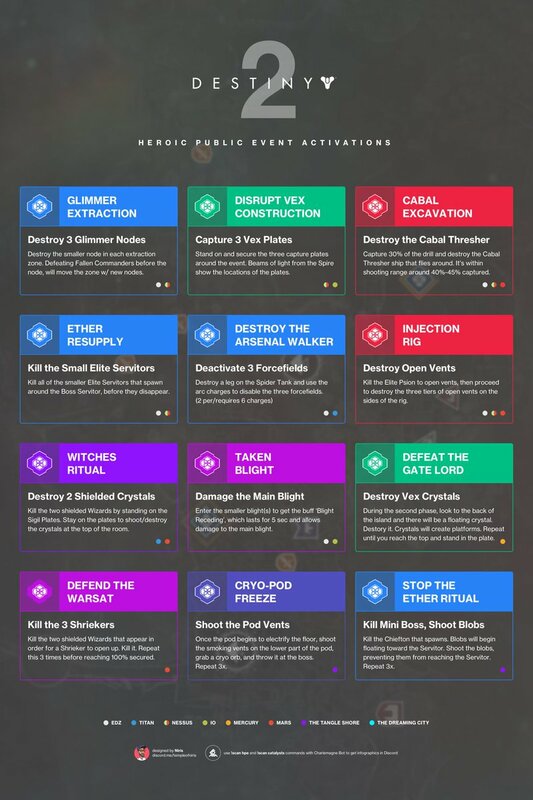 That’s all you need to know to start the Heroic Warsat Public Event in Destiny 2: Warmind. For more on the game, be sure to check out our ever-expanding wiki. When the event first starts you want to kill some Vex on either side of the central dome until the Gatekeepers spawn. Once you kill those use the orbs they drop and slam dunk them in the circular platforms to start the second phase of the event. You will have to use the portals to get thrown onto the first island. Another gatekeeper is there and another use of orbs on the central platform. What you are supposed to do next is NOT teleport back to the central dome. Look over the edge of the island and you should see a Crystal in the air. Shoot it and that will form a platform. Jump onto it and keep shooting crystals that appear. You have to be quick about it and crystals can’t be one shot. I recommend you have two people doing this. You just need to keep shooting crystals and jumping onto platforms until you reach the top of the tower. You’ll see a metal plate at the center there and you need to stand on it. After a few seconds this should start the heroic version of the event. Now continue doing the event as you should, with tougher boss and bigger rewards. 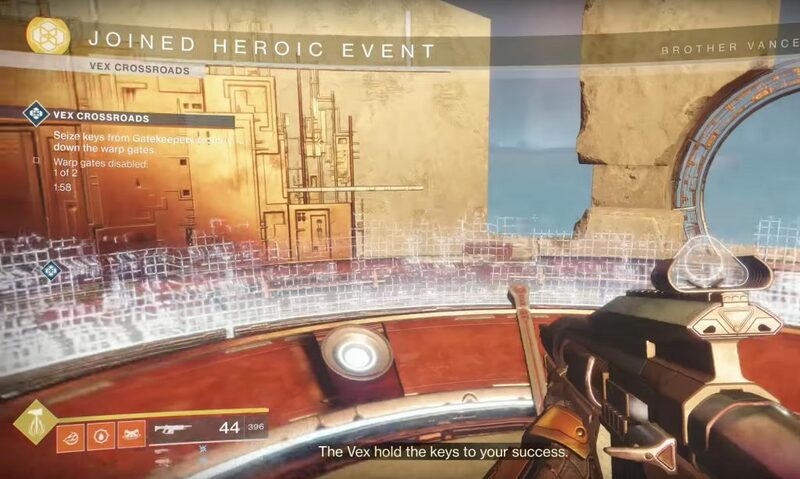 Click a event shown below to watch how to activate that heroic public event via Datto’s video shown above (click here to watch Datto’s video). 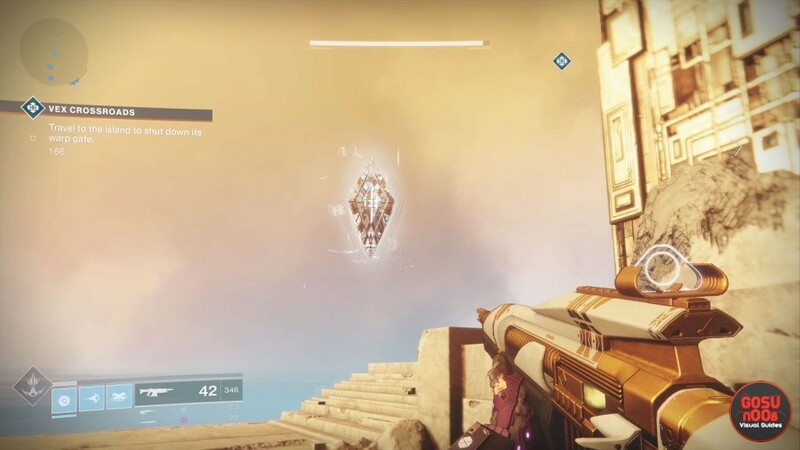 Fallen Glimmer Event- You must destroy all 3 glimmer nodes. If you’re shooting a node and it’s showing damage numbers, that’s probably it. Fallen Ether Event- You must destroy all small Servitors that assist the big one. Spider Tank Event- You must disable all 3 forcefields by using 6 arc charges, 2 per forcefield. Witches Ritual Event- You must destroy the 2 shielded crystals by standing on the Hex Circles. Vex Construction Event- You must activate all 3 Vex plates by standing in them until 100%. Cabal Extraction- You must destroy the Cabal Thresher ship that patrols the area. Taken Event- You need to step in and out of the blight zones to get a buff to shoot the big blight. Once you do enough damage the heroic will activate.) Other Cabal Event (You need to shoot all of the side vents on the drill or whatever it is until they steam, then shoot more vents that pop up.